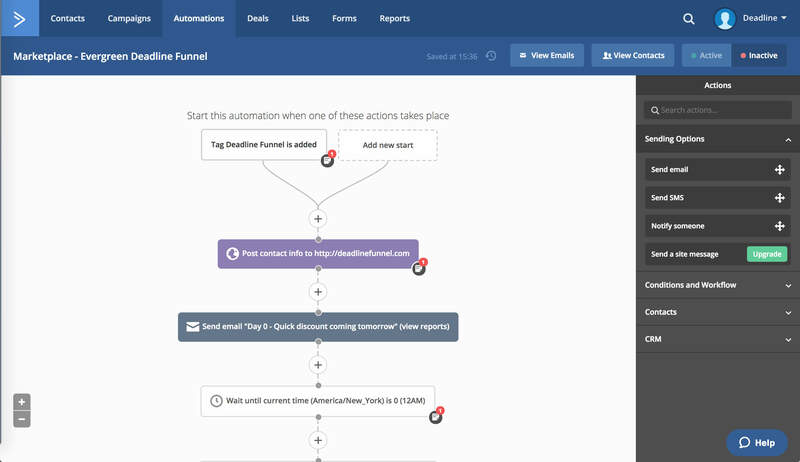 Using this automation you can quickly create unique, individual deadlines for each of your subscribers. And because of this automation, their contact record in Active Campaign also stores "Saturday, April 9th" as a custom field. And if someone signed up on Tuesday, April 5th, their contact record would store "Sunday, April 10th." Now you can use that unique deadline text in your emails to subscribers by simply including a placeholder for "deadlinetext" in your emails. Which means you have an authentic evergreen funnel in place, that works across any device or network, protects your sales pages, and integrates with ActiveCampaign. Boom! As a bonus, we've also included eight emails for a 5-day evergreen funnel... written and ready to go!